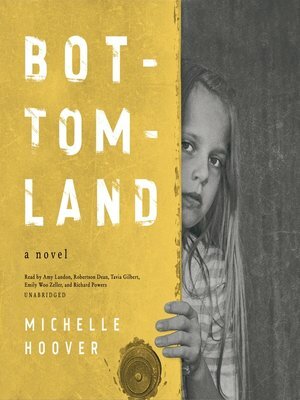 At once intimate and sweeping, Bottomland-the anticipated second novel from Michelle Hoover-follows the Hess family in the years after World War I as they attempt to rid themselves of the anti-German sentiment that left a stain on their name. But when the youngest two daughters vanish in the middle of the night, the family must piece together what happened while struggling to maintain their life on the unforgiving Iowa plains.In the weeks after Esther and Myrle's disappearance, their siblings desperately search for the sisters, combing the stark farmlands, their neighbors' houses, and the unfamiliar world of far-off Chicago. Have the girls run away to another farm? Have they gone to the city to seek a new life? Or were they abducted? Ostracized, misunderstood, and increasingly isolated in their tightly knit small town in the wake of the war, the Hesses fear the worst. Told in the voices of the family patriarch and his children, this is a haunting literary mystery that spans decades before its resolution. Hoover deftly examines the intrepid ways a person can forge a life of their own despite the dangerous obstacles of prejudice and oppression.